Whether you are religious or not, water blesses and cleanses the soul. Without water there is no life. Water is energy, and energy is life. You are made up of mainly water, the planet is 70 percent water, life is created from water, and life can be healed from water. Your body and soul craves hydrotherapy as a means of promoting wellness and healing. Water evokes purity, clarity and calmness. It’s nature’s way of helping you cleanse your mind, body and soul. Water is one of the most vital elements of life, yet it is probably the one thing that many of us take for granted. Many of us are dehydrated; not only do we not drink enough of this miracle elixir, we mindlessly shower in it, curse it when it falls from the sky and run from it when it tries to weep from our bodies. The humble drop of water enables us to see vibrant rainbow colors reflecting in the sunlight, it gives shape and form to everything, it builds mountains and cliffs, it floods our bodies with nourishment, and it helps to release the pain within our body through the tears we cry. As a surfer, I have grown up with a connection to water. Over the years I have turned to water as my healer on several occasions. The grey and angry waves that have crushed me have humbled my soul, the unpredictable moods of the ocean have taught me to respect and never to assume, and with every wave I have been fortunate enough to ride, I have been filled with gratitude. We all have this innate knowing that water is healing, however only some of us listen to our own wisdom and knowing. To prove this theory, take a moment now to think about relaxation and rejuvenation. Create visions in your mind of the perfect relaxation scene. What is it? And all the many other magical experiences that include water…. So there you have it. When you are seeking a little relaxation, you intuitively connect with the energy of water. 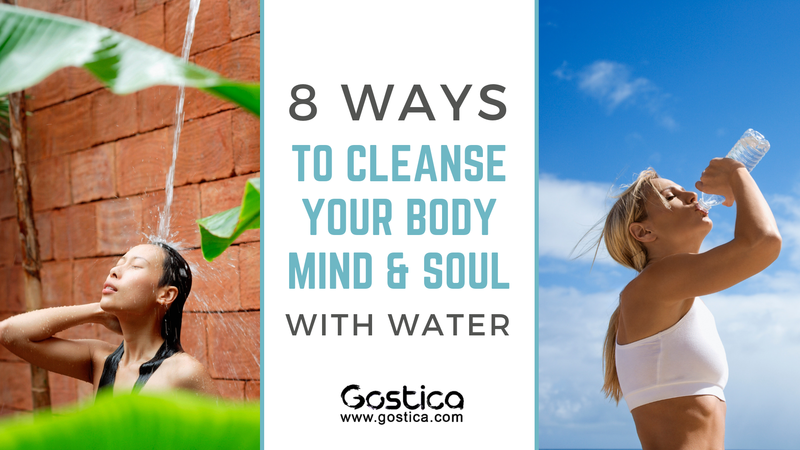 The healing powers of water deeply resonate within your soul, you have an inner connection and knowing that water is the essence of life. From today forward, commit to yourself that you will forever experience water as never before, whether you choose to just simply dip your toes in or immerse your whole body, it is totally up to you. The therapy of water will evoke new thoughts, stir your soul, and bring to you the harmony that you seek. – it nourishes, energizes and detoxes your body, whilst plumping out your cells to diminish fine lines and wrinkles. – sounds absurd I know, but this will have you laughing like a child; it will make you look at the world with the heart of a seven year old. – whether it is summer or winter, make sure that you dress for the occasion, feel the rain-drops kiss your skin, smell the freshness in the air and let your soul connect with nature. – feel the water surround you and nurture you, get lost in the arms of the water, and let all your troubles get washed away. – whether this is through laughing or crying, let your soul be free, lighten your body by releasing your emotions, and let it leave through the tears that you cry. – soak yourself and cleanse your soul. Regular baths increase blood circulation, lymphatic drainage while reducing stress and mental fatigue. Relaxing in a bath is a way you can connect with yourself and create healing, love, peace and harmony within your everyday life. – choose to look at your daily shower as a sacred cleanse. Let all your negative thoughts and emotions be washed away by the water, envision them leaving you for good as the water rushes down the drain. – watch your plants turn up and face the gentle shower of water; they suddenly look greener, fresher and more alive. This was written by Claire Charters for MindBodyGreen.